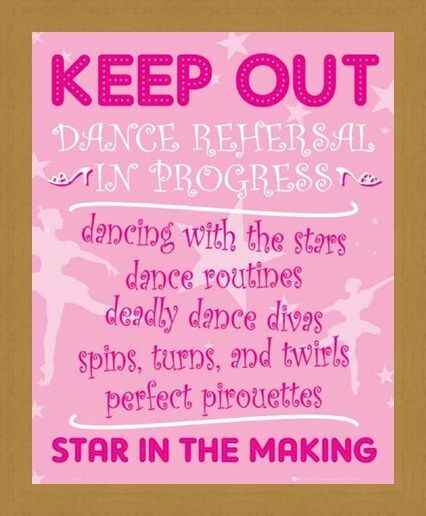 Humour Mini Poster: 'Keep Out', you have been warned...unless you want to expose yourself to deadly dancing divas behind the door that hosts this fun warning poster. 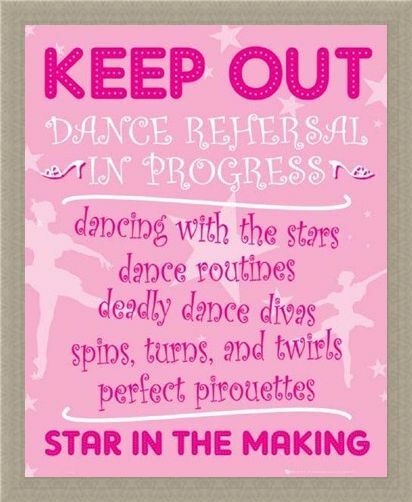 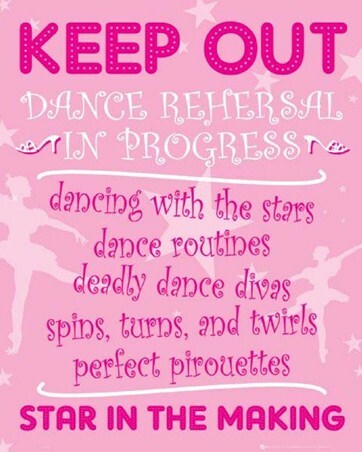 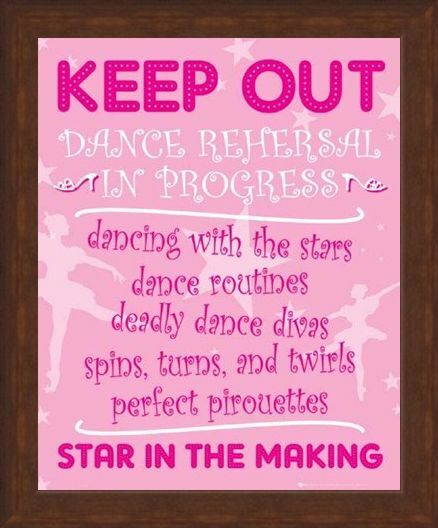 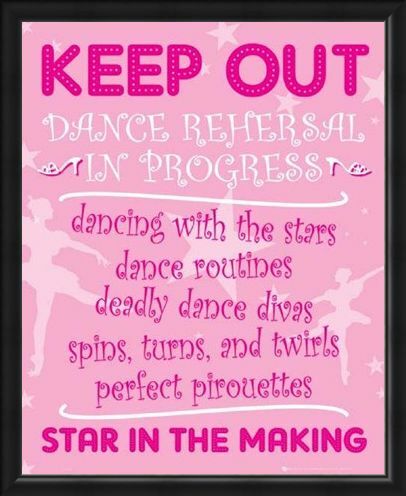 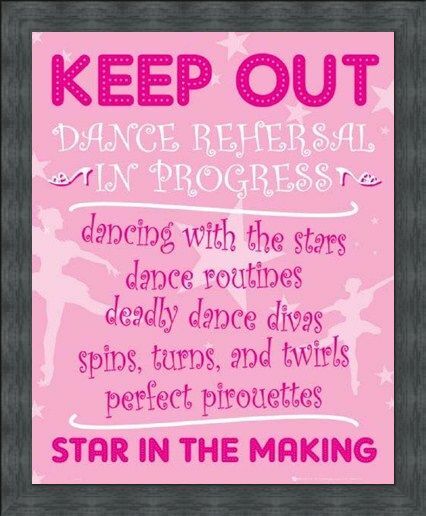 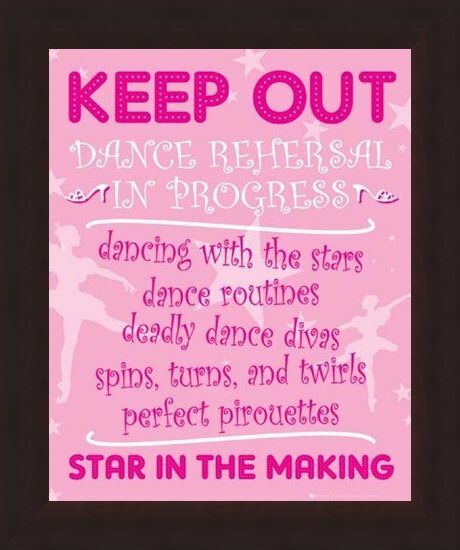 Pretty in pink, this hilarious poster aims to keep out any unwanted visitors for the 'Star In The Making' that lurks in her bedroom practising dance routines and a diva attitude. 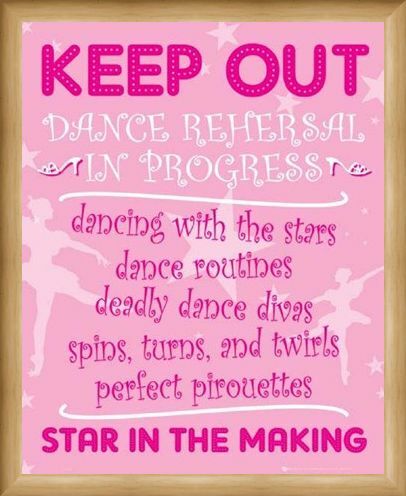 Dance rehearsals are in progress, with a busy schedule of, 'dancing with the stars, dance routines, deadly dance divas, spins, turns and twirls and perfect pirouettes', enter if you dare! 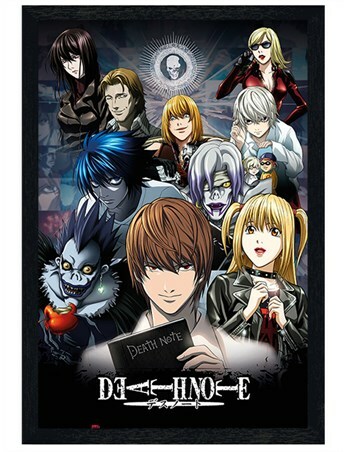 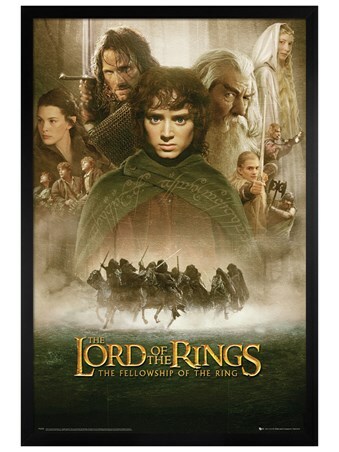 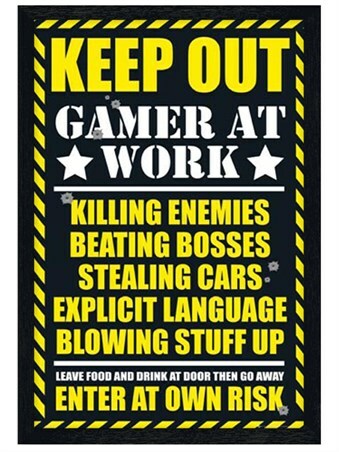 Packed full of attitude, this stunning poster is sure to keep out any unwanted guests and would be an inspirational addition to any wannabe diva's room. 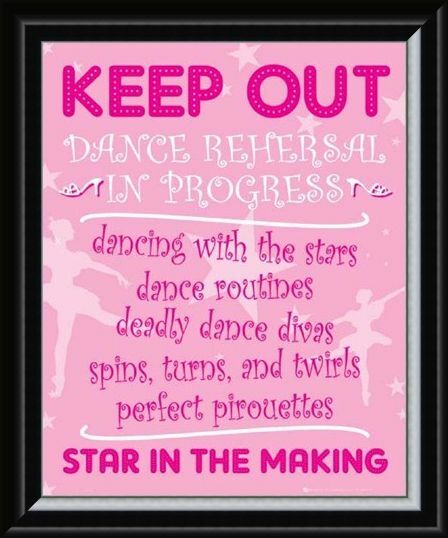 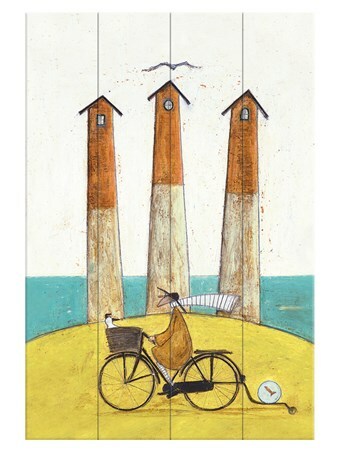 High quality, framed Star In The Making, Keep Out mini poster with a bespoke frame by our custom framing service.